Attorney Patrick R. MacQueen is a founder and named partner in MacQueen & Gottlieb, PLC. He graduated with honors from the Eli Broad College of Business at Michigan State University with a bachelor’s degree in finance. He then moved on to the University of Detroit Mercy School of Law, where he was number 1 in his class. Patrick’s 14-year legal career has been highlighted by work primarily in the areas of real estate transactional law and real estate litigation. He recently prevailed in several Arizona Court of Appeals matters and one with the Arizona Supreme Court, and served as local counsel in the $129 million acquisition of the City North development adjacent to Desert Ridge Marketplace in North Phoenix. 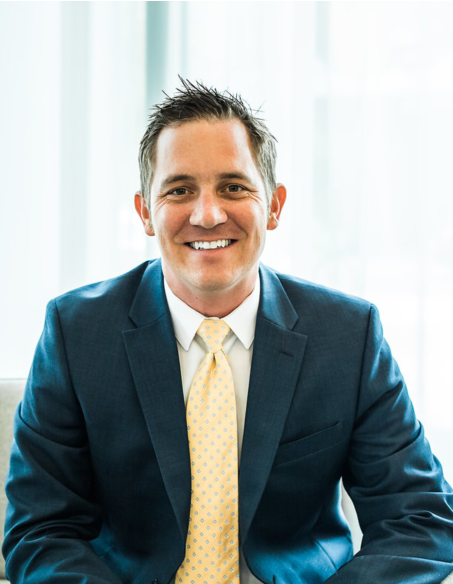 Patrick moved to Phoenix after law school and began practicing in 2006 at Lewis & Roca as an associate. He moved to Mack, Drucker & Watson in 2009 and was there until 2013 when he took a position as in-house counsel for one of North America’s largest land developers. Patrick is also admitted to practice law in both Arizona and Michigan. Selected as AZ Business Magazine’s Top 100 Lawyers in Arizona in 2019. The prestigious group is chosen by AZ Business magazine’s editorial team in collaboration with industry experts. The attorneys were selected from a pool of more than 2,000 of the state’s most talented and successful attorneys. Selections are based on each lawyer’s professional success and ratings, impact on his or her law firm, impact on the communities she/he serves and impact on the legal profession. I was almost abducted in 2nd grade and its memory allowed me to focus and get a double eagle in golf later in life.